Walk in the footsteps of the founders of our country--the early immigrants, who carved homes out of the wilderness, fought for freedom, and forged our political landscape. 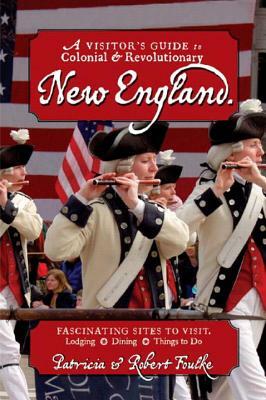 This absorbing guidebook spans the geographical bounds of New England states--including Maine, New Hampshire, Vermont, Massachusetts, Rhode Island, and Connecticut--and traverses the formative years of the United States, reaching from the 1600s, through the colonial era, up to 1812. A wealth of historical detail, timelines, photographs, background stories, and nearby lodging and restaurants with links to the past makes this one of the finest resources for travelers who enjoy exploring the living roots of our history. 10 maps, 60 black & white photographs, index.